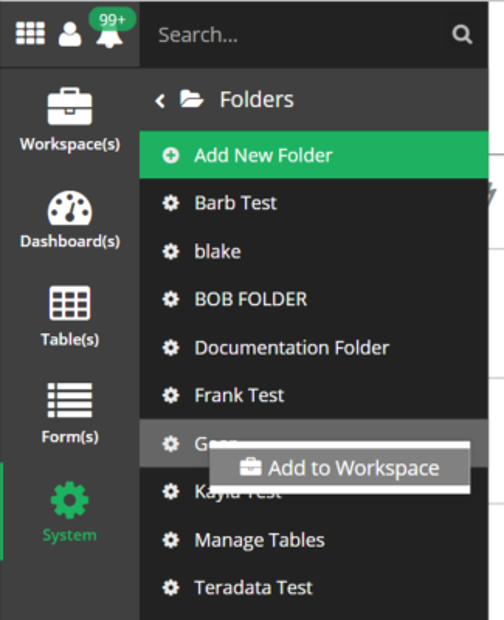 Documentation and SupportReleases 2014-11-13 ReleasesFolders can now be added to workspaces and favourites. Right click on the folder in the navigation. Prev: Exports now have a drop down showing what view they are connected to.